This year is going to be the most fun yet! The theme is “Let’s Make a Deal” – wear your finest Vintage cocktail attire or dress up in a costume, anything goes! The goal is to stand out and you may be selected to win prizes, just like the game show! 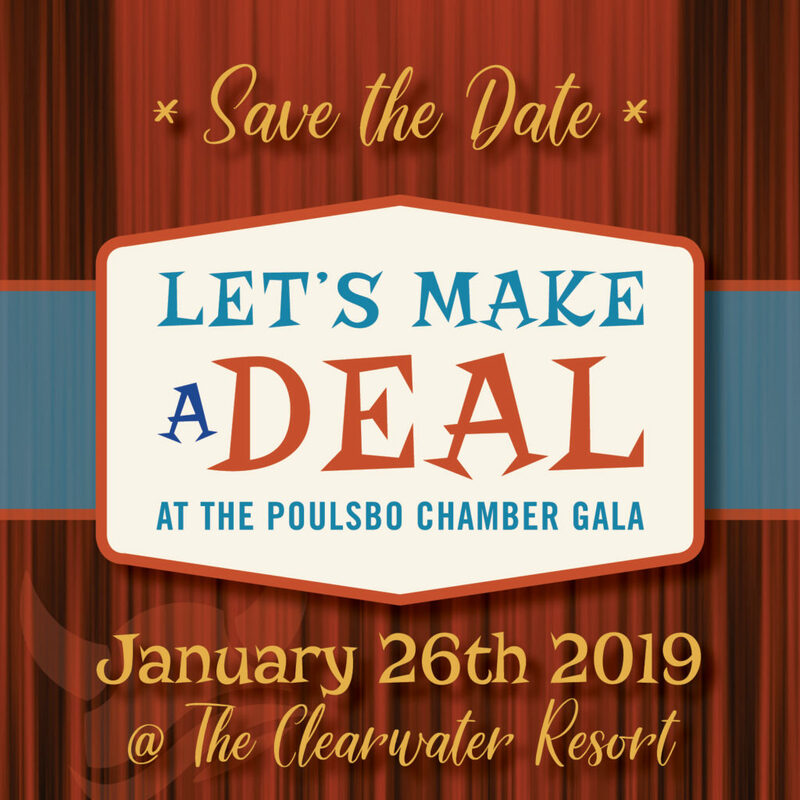 Call 866-609-8700 and press “2” for a guest service agent (please reference the Poulsbo Chamber Gala to get the group rate) or go online to www.clearwatercasino.com, click Stay and Play, click on Groups and use the Group ID13109. Deadline 12/21/18.